Johnathan Morrow 2007 18 72 6905 20 minutes from Patong Beach. Few golf course sites have presented a design team with such a dramatic raw canvas on which to sculpt a magnificent golf course. The course has been cleverly routed to take advantage of a huge variety of landforms and dizzying elevation changes. Scars left from the tin mine era have been imaginatively incorporated into the overall scheme, creating a unique character at the same time as establishing an indelible link with an important element in the Island’s past. 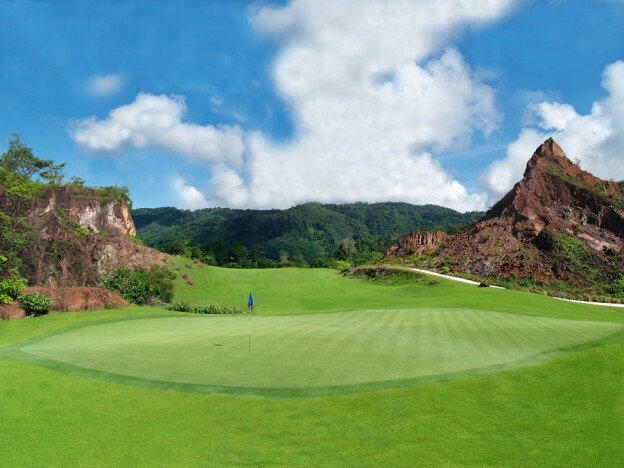 This is undoubtedly the highest golf on Phuket Island, and undoubtedly a truly magnificent course good enough to challenge Blue Canyon, you can make that decision for yourself, many have already done so.